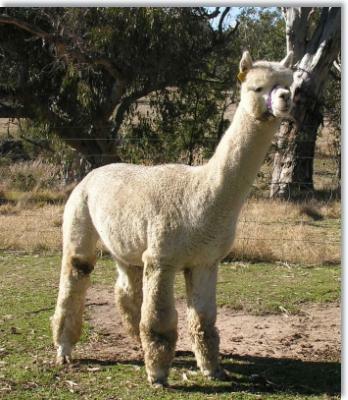 His Dam is a real "STAR" and one of Cambridge's best females, "Illustrious" was Adult Champion Female at the National Show & 1/2 sisiter to the famous "Sculptress" - both have the impeccable genetics of Ruffo in their background. 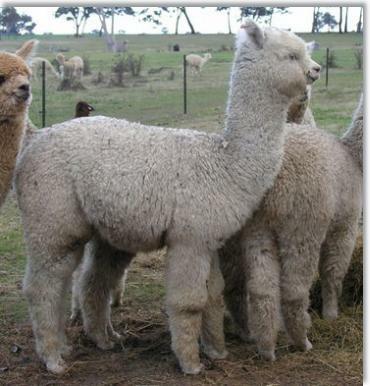 His sire Commisario is only available In-House so Oblivion is a real opportunity to get at exclusive genetics. 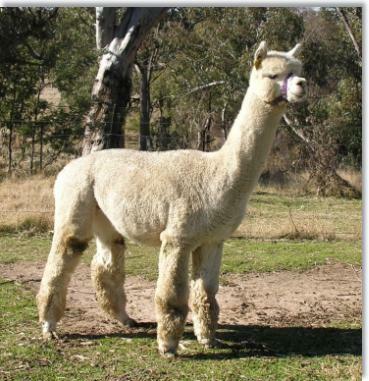 He is an outstanding macho with a fabulous frame and exceptional density producing awesome density in a bright fleece- hand selected by Matthew & Cathy from the Accoyo Herd. The crias on the ground to date are all well balanced, dense and vast improvements over their dams & 90% female.